Inside of the unit. 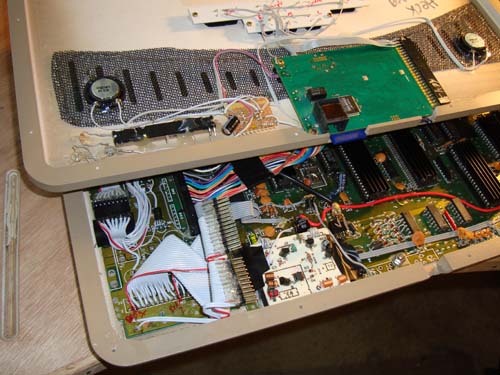 It was kind of a pain wiring the expansion slot to plug into the 1541 board, mostly because there are so many pins and folding the ribbon cable that closely was tricky. As before there are dual speakers, it’s mono output but it gives a “fuller” sound. All the IC’s have been heat sinked just in case. Unit running the 1541 menu. It’s a lot easier now to browse images and load them up, and you can return to this menu at any time by clicking the 1541 menu buttons (just below the function keys). 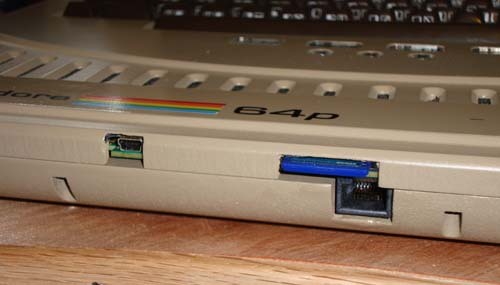 The USB, SD card and Ethernet ports of the 1541. 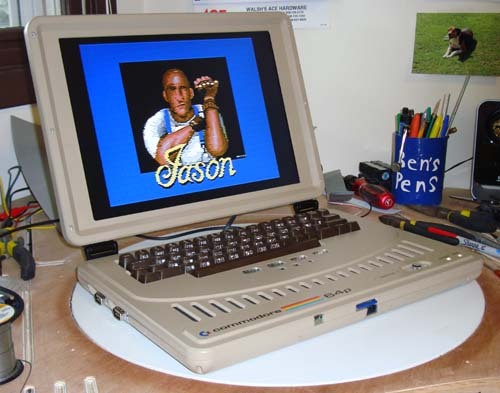 Physical layout is almost identical to the previous model, the function keys are different, there’s no small LCD screen and the 1541 menu buttons have been added. 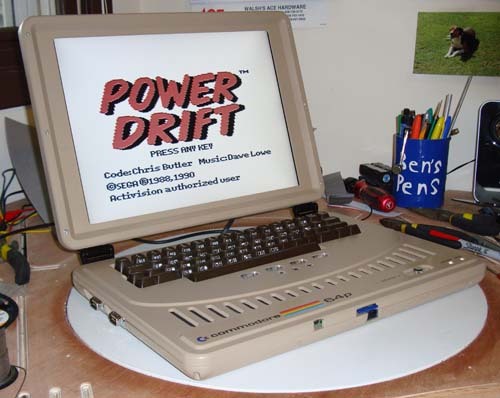 C64 loading Power Drift, which is a fairly decent conversion of the arcade game. Unit closed, with traitor Atari joystick plugged in. Unit is the same thickness as the previous model. Finally, a video showing the amazing C64 rev 2 being rotated around on my desk – amazing! 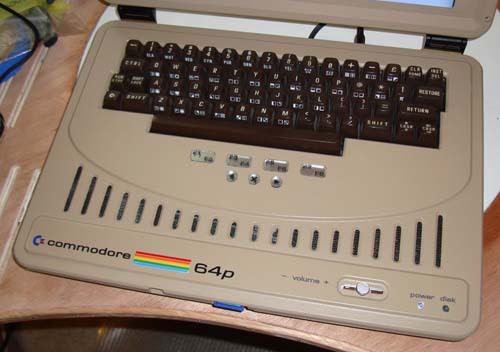 Again we’ll have more information on the auction once we nail down the details but yes, it’ll be a chance for some lucky C64 fan to own this unit and help a good cause in the process. Stay tuned! Awesome custom piece, for an awesome cause. 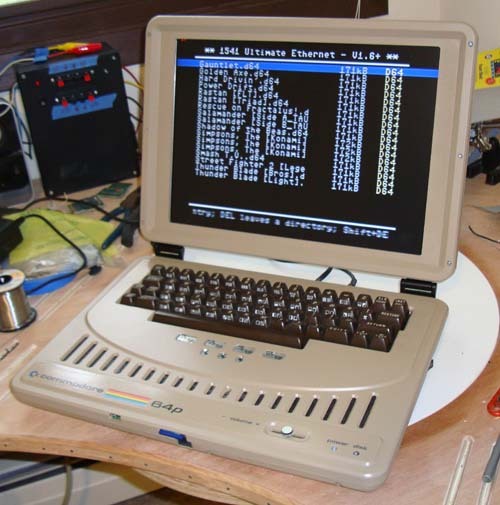 Pingback: Ben Heck’s C64 Laptop – Revision 2 | Are you reading? alter was geht mit dem kack teil. is dat jetzt verkauft oder nich. was hat das teil gebarach? Pingback: Modding Wizard Creates an Xbox 360 Laptop from Side Mission Gaming News. 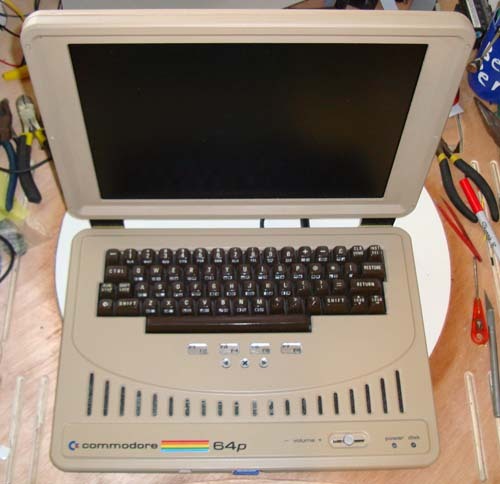 Pingback: Pimp My Console » Blog Archive » Commodore 64 Original Hardware Laptop Revision 2 For Charity!